Star Wars #1-4 35¢ Cover — Also, Other Price Variants You DIDN’T Know Existed! Everyone, and I mean everyone who collects comics seems to be keenly aware of the 35¢ cover price variants of Star Wars #1-4. Overstreet makes special note of their existence in the price guide, and market prices are through the roof with collectors bidding up these rarities at auction. This post is about not just these 35¢ Star Wars variants that you do know about, it also covers six Star Wars price variants that Overstreet overlooks and you probably have never heard of either and yet, as I will show you, they are just as rare (if not more so) because of the distribution circumstances that led to their existence! Lucky you: the vast majority of collectors out there seem to have no clue these other variants even exist, but by stumbling upon my post, now you will know, giving you a collecting edge! Overstreet’s Star Wars page gives the 35¢ price variant of issue #1 a full 24x the value compared to regular 30¢ copies, and suggests there may have only been 1,500 copies distributed. For issues #2-4, Overstreet gives the 35¢ variants 3.33x the value of regular 30¢ copies. Current market prices for these widely-known 35 cent variants — especially CGC graded copies — are eye-popping. Here is a screencapture of this particular moment in time, showing the numbers we’re talking about… Notice that last one, a CGC 3.0 price variant copy of Star Wars #3 auctioned for over $300! I say hold onto your three hundred dollars, fellow collectors, because everybody in the collecting world seems to be your bidding competition on these… But as I’m about to show you, there’s a whole other world of undiscovered Star Wars price variants out there that are just as rare and give you a much better value for your money (ones Overstreet does not even list in the guide!) and I’ll point out six specific Star Wars price variants in particular that you probably have never heard of! Recent sales among Star Wars #1-4 price variants. Even a CGC 3.0 copy (of Star Wars #3) auctioned for over three hundred dollars! 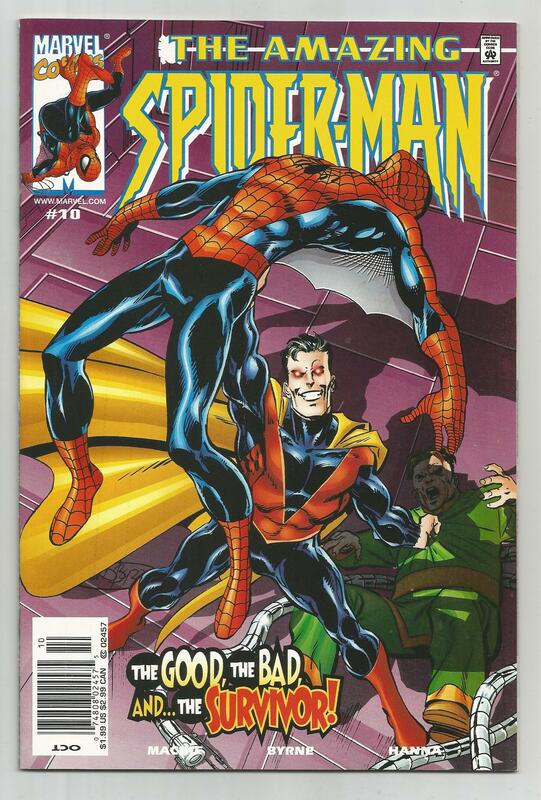 Regular 30 cent cover price copy in 9.8 sold for a lower price than the 3.0 graded 35 cent variant! Clearly, the collector’s market is hungry for low distribution Star Wars cover price variants… or is it only hungry for the ones it knows about? Because an entire “class” of low-distribution cover price variants from just 5 years later are being almost entirely overlooked by collectors! And now: Other Star Wars Price Variants You Probably Didn’t Know Existed! Three different versions of this Star Wars comic exist… And one of them (the one on the right) has a higher cover price and is drastically more rare! Three different versions of this Star Wars comic exist too… And the one on the right has a higher cover price and is drastically more rare! Return of the Jedi #1-4 (75¢ variants), and Marvel Movie Showcase #1-2 ($1.50 variants). Note for purposes of comparison that the Star Wars #4 35 cent price variant shows up on census with 9.7% rarity… please keep this number in your head, because I will show you in a moment how mathematically, based upon the distribution circumstances, the six other “overlooked” price variants I’ve listed here must be more rare than 9.7% of total copies! And, although the census counts are small, you can see how these are already showing up in the census numbers with percentage rarity that rivals the 35 cent variants!! 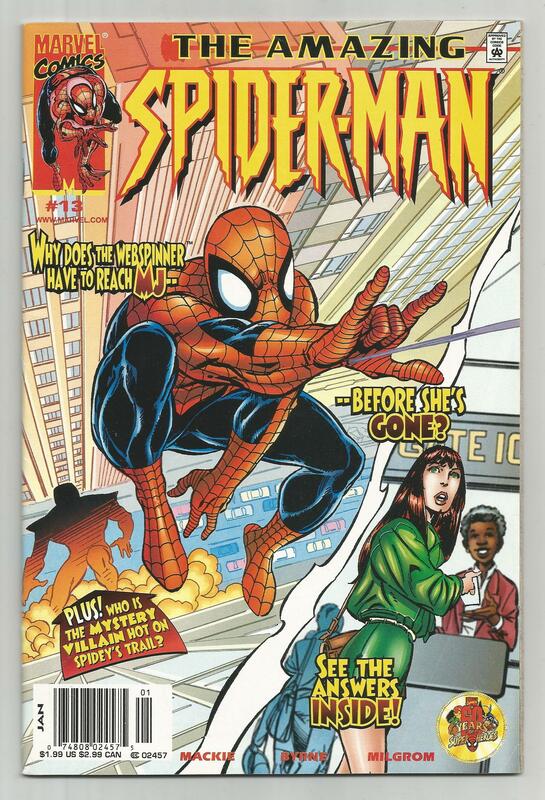 Marvel Movie Showcase #1, $1.50 cover price variant. Marvel Movie Showcase #2, $1.50 cover price variant. Return of the Jedi #1, 75 cent cover price variant. Return of the Jedi #2, 75 cent cover price variant. Return of the Jedi #3, 75 cent cover price variant. Return of the Jedi #4, 75 cent cover price variant. Overstreet makes no mention of the existence of 75 cent cover price copies of the Return of the Jedi limited series! Amazingly, despite specifically pointing out the 35 cent variants earlier in their other page for the Star Wars title, anybody looking at the guide page for Return of the Jedi sees absolutely no indication that 75 cent variant copies even exist, let alone how rare they are! What Are These Other Variants — And Why Are They Rare Too? The copy at the left of each of those comparisons is what is known as a “direct edition” copy; these were the kind sold in specialty comic shops across North America (to both the United States and Canada). If you go looking for a CGC graded copy of any of these issues, chances are you’ll find mostly this direct edition version, because it was the most well-preserved (handled with care by comic shop owners, and then bagged and boarded by collectors). The kind in the middle is a newsstand copy but priced in U.S. dollars — while the higher priced copy at the right is a newsstand copy but priced in Canadian dollars. The population of Canada in 1982 represented 9.8% of the population of North America… because the United States simply had substantially more people living there. Next, here’s why the rarity of these “overlooked” price variants is actually under 9.8% (and not 9.8% on the nose): Because all of the comic shops in Canada got the very same direct edition copies that were sold in the United States… If you look back at that side-by-side comparison of the three types of copies you’ll see that the direct edition type had both prices listed on it (Canadian price smaller, underneath). So the portion of the collector’s market in Canada being serviced by comic shops did not get the price variants! They got direct edition copies instead! Only the portion of the market for comic books being serviced by newsstands in Canada got the higher priced variant copies! So it is only a portion of that 9.8% of the North American market for comic books that got the price variants! Therefore these price variants, as a percentage of total copies out there, must by simple logic be some amount under 9.8% — and as a reference point remember you’re holding in your head that we saw that the 35 cent variant of Star Wars #4 shows up on the CGC census with 9.7% rarity. So it is pretty clear that these other “overlooked” price variants are just as rare as a percentage of the total copies of each issue, if not more so, compared to the widely known 35 cent variants! And we also need to consider that the typical buyer on newsstands wasn’t carefully preserving their copy… because that typical newsstand buyer was a reader. The collectors, meanwhile, were mostly making their purchases in comic shops (and taking home the direct edition type, not the price variants). Destruction rate for newsstand comics is notoriously high. And that is one reason why these 75 cent price variant copies are actually showing up in my table from earlier with even lower percentages on the CGC census of graded copies of each issue, when comparing to the percentage rarity on census of the Star Wars 35 cent variants — especially comparing to the census rarity for issues #2-4! With Overstreet overlooking these in their guide pages, and collectors widely unaware of their existence, the bargains out there are incredible for anyone who understands the true rarity. Even the collectors who are aware that these price variants exist, probably have not put very much thought into them. People look at Canada on the map and see a huge physical area, so it is probably the case that most collectors never really put thought into the population disparity between the two countries, even if they do know about the existence of these price variants. Canada looks just as huge as the United States on the map of North America… but by population it is tiny, smaller by population size than the state of California! And furthermore, most collectors to this day have such a myopic focus on grade/condition that they do not put much thought into the difference between direct edition and newsstand comic books, nor think about the distribution percentages between those two versions. But the fact is, all direct edition copies of these 1982-1986-era Star Wars comics — the type sold at comic shops across both the US and Canada — had both prices on them and made up a substantial portion of comic book sales… So that divides up the already-small Canadian market for comic books, where the 75¢ price variants are only the portion of that market served by newsstands. So it is absolutely crystal clear that 75¢ price variants were a small sliver of the total distribution, and therefore incredible rarities. Some recent sales of 75 cent variant Star Wars comics. Now I don’t know about you… but I think these 75¢ variants are an unbelievable bargain relative to their small distribution percentage, especially when you compare to the premiums given to the widely-known 35¢ variants of 1977. I think there’s a term for this type of phenomenon and it is called relative value. For the price of that one single CGC 3.0 copy of the 35 cent variant of Star Wars #3 from earlier, you could have every single 75 cent variant in the above screenshot! If you agree that these under-the-radar price variants sound highly interesting, I’ve written some other posts about these variants that you may enjoy reading as well: 75 Cent Variants (Canadian Newsstand Editions) and also a practical guide on How To Spot Canadian Price Variants in the marketplace. Finally, if the distinction between newsstand and direct edition comics is a new concept to you, you’ll want to read these too: Comic Book Newsstand Editions: Understanding The Difference and this recent post about other “Special Situations” where CGC “breaks out” Newsstand Variants on census (which is actually an abnormal occurrence — for the vast majority of comic book issues CGC lumps together the direct edition and newsstand copies with no distinction). Throughout this post I’ve referred to the CGC census numbers. Below are screencaptures as of this writing, showing the data. CGC denotes the 35 cent variants with the census entry “35 Cent Price Variant” and denotes the 75 cent variants with the census entry “Canadian Edition” (note that for both Marvel Movie Showcase issues, CGC has yet to grade a Canadian Edition copy — none appear on the census for those two issues). → What Caused 35 Cent Variants To Take Off? Great article. 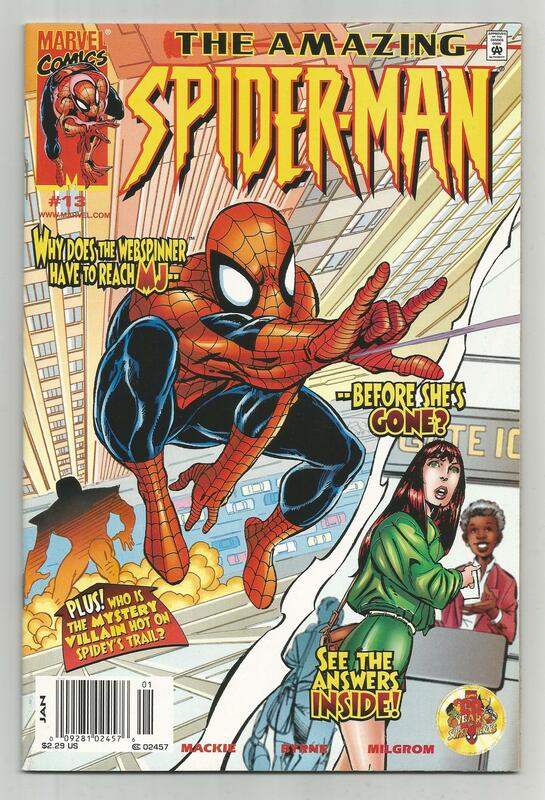 Do you have any info on the Marvel newsstand price variants issued between October 1999 and January 2000 (e.g. 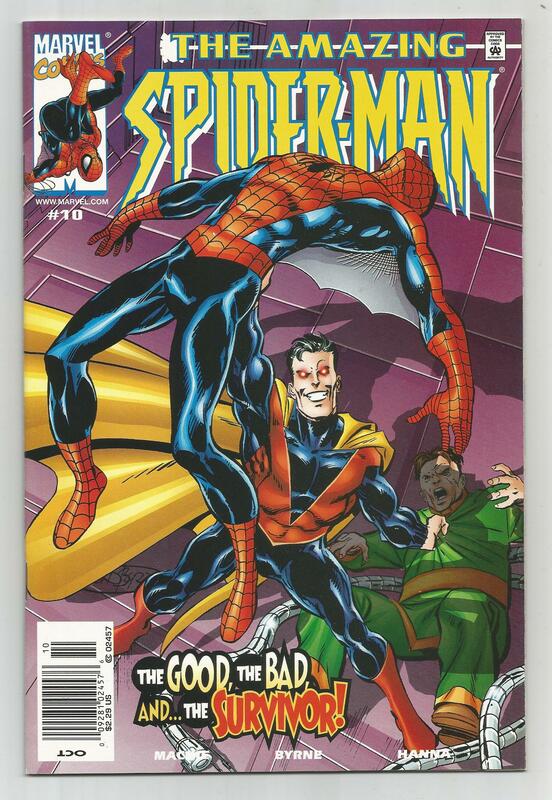 Amazing Spider-Man #10, 11 & 13 all of which had $1.99, $2.29 and $2.49 newssrand cover prices?). I’m assuming these were price increase tests like the 30 and 35cvs but info is scarce to nonexistent. 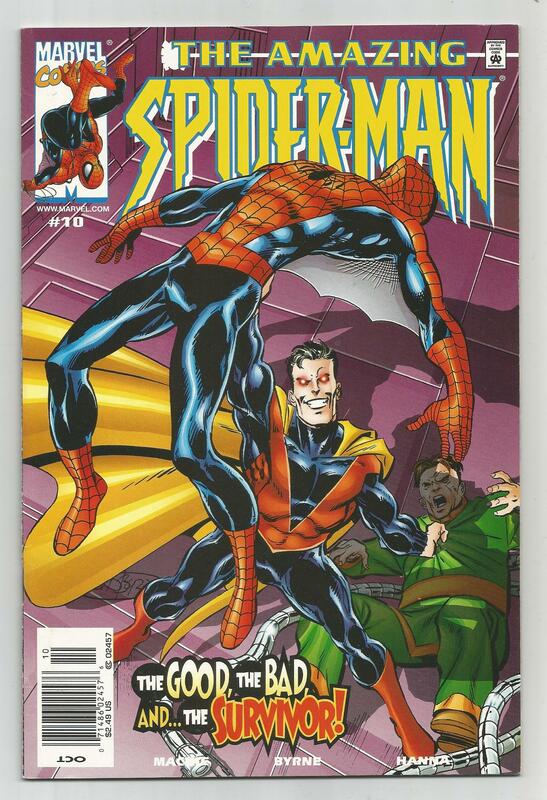 At some point Marvel started “cycling” UPC codes on ASM newsstand comics (see my post on this subject) and at one point I was doing a CGC census lookup for issue #600 and noticed that a collector had sent in a copy which was broken out as “newsstand variant” — I assumed CGC had noticed it had a higher cover price, but in fact, what CGC had noticed (or had been pointed out to them) was that UPC code “error” and they made the decision to “break out” those newsstand comics as variants accordingly. I’d assumed that they must have noticed the cover price difference… because in the later 500’s and well into the 600’s there was a pretty long window during which newsstand copies were priced at 3.99 while direct edition copies were priced at 2.99 (or in the case of issue #600 it was 6.99 newsstand, 4.99 direct edition). I submitted a whole bunch of these 3.99 copies this year and I requested that CGC “break out” these copies on census as variants regardless of the existence of UPC code “errors” or not, in consideration of the fact that this was arguably not a one-off price difference for a given comic or two but rather an entire “class” of cover price variants just like those 1970’s variants. They deliberated and decided to indeed break them out (what a great decision by CGC!!) — and I’ll be making a post about that class of comics soon (probably later this week, I’m just waiting for one more submission back) — but meantime, if you look up ASM 599 or 600 for example you’ll now see a “$3.99 Newsstand Edition” variant separated out for #599 and “$6.99 Newsstand Edition” for #600. What’s especially excellent about CGC’s decision to break out these cover price variants is that we’ll see a count of surviving/graded copies accumulate over time and the rarity will self-express in the census numbers. Thanks Ben, you’ve been a great help. I plan on buying most of those scarce variants, if I can, and not after the prices of these variants go up (I hope). I’m getting some of them very soon (next weekend), I have to make a trip to Canada (Vancouver). I hope I can get them before they skyrocket in price. I’ve just started to see the enormous financial gain to my collection, by getting these. Interesting. I love collecting price variants, but you missed a couple off the list. Star Wars 2, 3, 4 & 5 were all printed with 12p prices for distribution in the UK. Crucially, these copies were also printed in the original run alongside the 30 & 35 cent copies. The estimate (no actual numbers exist for these either) is that the pence variants made up between 5 & 10% of the total print run. So, more than the 35 cent, but a lot fewer than the 30 cent. Marvel, and to a smaller extent, DC, Charlton & Dell/Gold Key did this with many titles from the early 60’s to the early 80’s. I read a lot around this issue & I’m starting to see more interest in pence variants. It’s a bit of a double-edged sword, though. Increased exposure means higher demand. Higher demand means higher prices. Higher prices mean I can’t afford much any more. Ho hum. Still, good article. Plenty of valuable info.